Highly Sensitive Person | Why so serious? “Please don’t leave me now . It is all an act . I am not as tough as I appear to be . I am broken . I want to cry and tell you everything . Please , understand my silence is not becuase I dont want to tell you everything . I just don’t know how to tell . You are my friend and I know my words have hurt you. You think I am angry with you but you should know I am angry with myself . Please hold onto me a little while longer. I am sorry I am such a hard person to read. Please don’t listen to what I have said , you need to look through my act of toughness to see how vulnerable I am ! How much I need a friend right now ! I need you to understand I lied when I said “I am ok ” . Dont take my words for it . You are my friend , you should know when I am telling a lie . I need a friend right now whom I don’t have to tell how I feel. A friend who knows how much I am hurting right now ? How much I need a shoulder to cry upon ? A friend who would just stand by me until I am able to stabilize my emotions. If she could she would scream these words so that her leaving friend would listen . But she has not said a word. She is looking at her friend with all these words in her eyes . A silent request hangs between them . She is waiting, waiting to be understood and accepted . There exists a group of people who are different from the rest of the population . They have a unique trait but usually they are unaware about its awesomeness . According to different sources, this group consists of 15-20% of population. They get overwhelmed easily in other words they are easily rattled . Even small changes are sometimes too much for them . 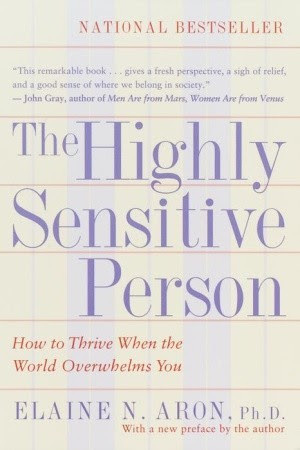 If you haven’t read the term Highly Sensitive Person(HSP) or read/heard about the book , “Highly Sensitive Person” by Dr. Elaine Aron then you must be thinking who are these people and where are they ? This book has answered many questions . It has helped these people make sense of their lives . Even if you are not an HSP , chances are someone you know is one . I would request all of you to take out time and read about this trait .